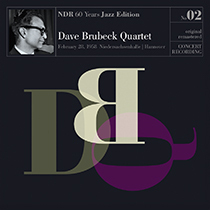 NDR 60 Years Jazz Ed. 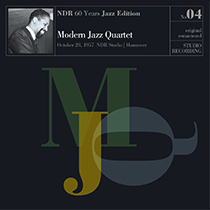 First time original remastered releases of groundbreaking concert and studio recordings from 1953 onwards recorded by NDR Radio on CD and LP. 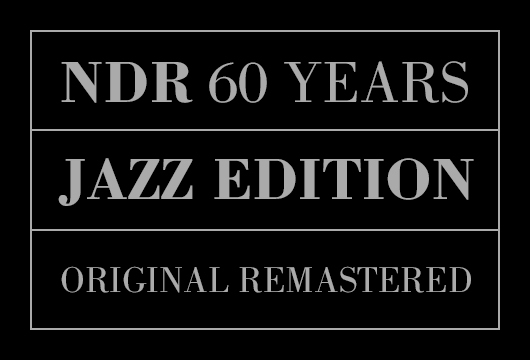 Find out more about NDR 60 Years Jazz Ed. What would the history of jazz have been without radio? It would certainly have been different, and probably not nearly so successful. Alongside the long-playing record, the radio was always and still is the main medium for this important popular music genre. Both, radio and Jazz, made their first steps hand in hand in the USA in the 1920s. Soon afterwards entire Jazz concerts were being broadcast nationwide, and the careers of, for example, Duke Ellington or Benny Goodman received a decisive boost. Jazz mania had already crossed the Atlantic even before the Second World War. And the inspiring and free-spirited Jazz in post-war Germany assumed its natural place in the newly installed public radio broadcasting landscape. 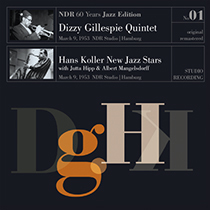 The recordings, which have now been released for the first time in the series „NDR 60 Years Jazz Edition“, are a testament to this sense of a new beginning. 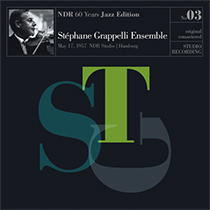 From 1953 onwards they were regular guests at NDR: the great stars from overseas and the European talents who were trying out their own unmistakeable language of Jazz from an early stage. They have left many grandiose sound tracks behind them. More than 2000 concerts and studio recordings from the last 60 years are resting well protected in our Jazz archive. Great that some them are now again seeing the light of day.